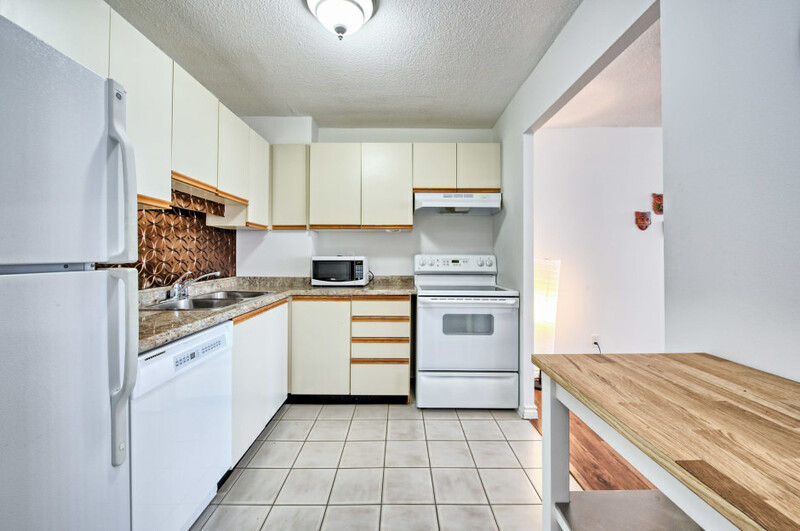 Lovely and spacious 1,150 square foot unit in the desirable “Mill Run” condominium complex in St Catharines! 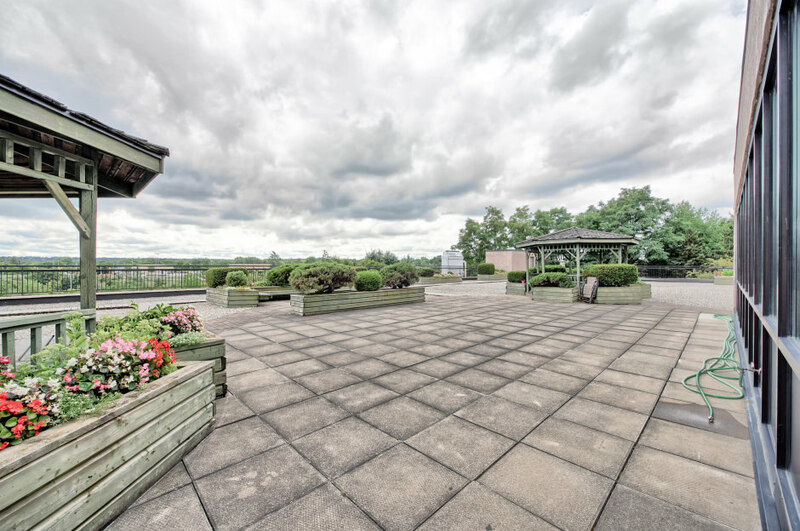 Conveniently located close to major highways, transportation and a casual stroll into the downtown area, the Meridian Centre and the Performing Arts Centre! Great floor plan allows for easy flow throughout this semi open concept unit with Northerly views from the enclosed balcony. Generous foyer welcomes you with ceramic flooring, double coat closet and leads into principle areas with woodgrain look laminate flooring. The bright kitchen opens into both the dining area and the family room. Granite look countertops with attractive copper look backsplash. GE refrigerator/freezer and electric stove with fan hood. Built-in dishwasher, ceramic flooring and large walk-in pantry provides ample storage! The family room is open concept to the dining area and has a wall of windows with vertical blinds. It leads to the enclosed balcony or to the hallway towards the bedrooms. 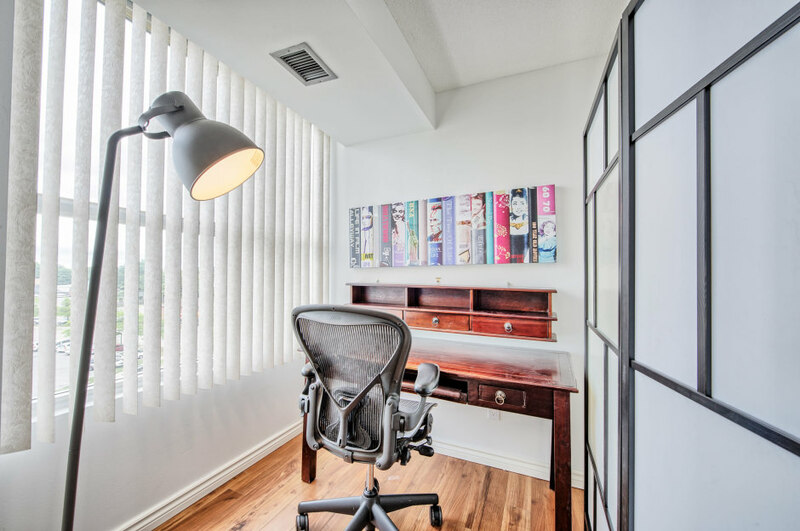 The enclosed balcony has a privacy door from the family room and sliding glass doors from the second bedroom, yet it’s private and spacious enough for a study or den area. Generous master bedroom with plenty of room for large furnishings, or a king size bed. Boasts two organized clothes closets in hallway through to private ensuite bathroom. Four piece ensuite bathroom with full bathtub and shower with newer rainhead and faucet handles, newer toilet. Single sink set into granite look countertop. The second bedroom has double clothes closet and sliding glass doors out to enclosed balcony. 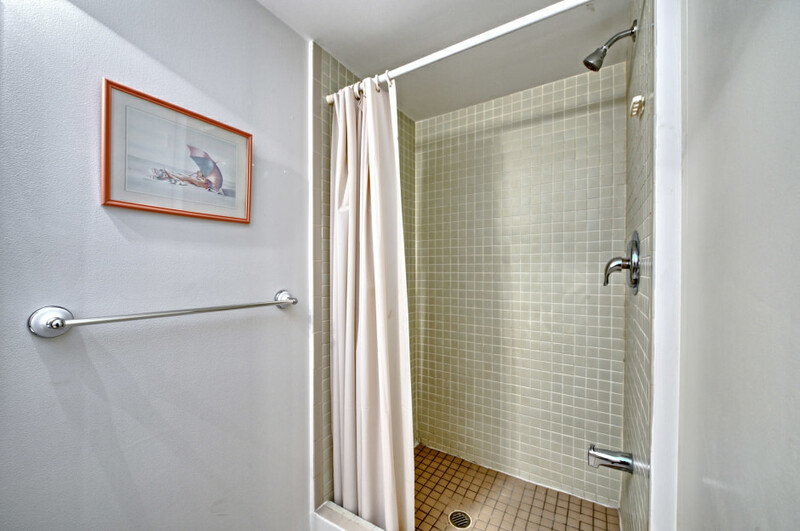 The main bathroom is a three piece with walk-in shower and single sink set into cabinetry with granite look countertop. A full laundry area with side by side washer and dryer provides convenience in suite. The building amenities are numerous! 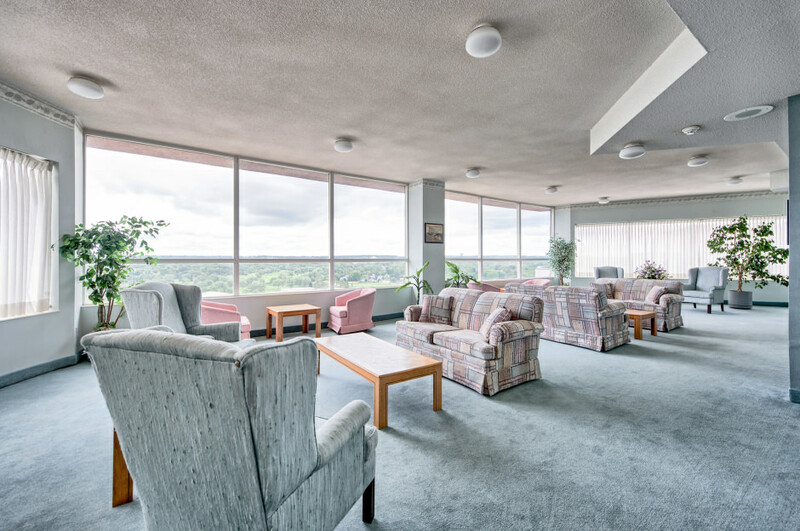 The roof top lounge offers almost 360 views of the city below, the escarpment and across to the skyline of Toronto! Plenty of couches and comfortable seating areas on two sides of the lounge allow for entertaining or relaxing. The main level offers heated inground/indoor pool for year round enjoyment with walk-out to vast terrace. A fully equipped workshop for woodworking, crafts and hobbies with space for large projects too! A billiards room, games room and massive party room with fully equipped kitchen for all of your entertaining needs! Fully outfitted exercise room and private sauna and extensive main foyer welcoming area with more casual seating areas for your guests. Lovely Centennial Park greenspace behind the building provides walking trails for kids, grandkids and pets!